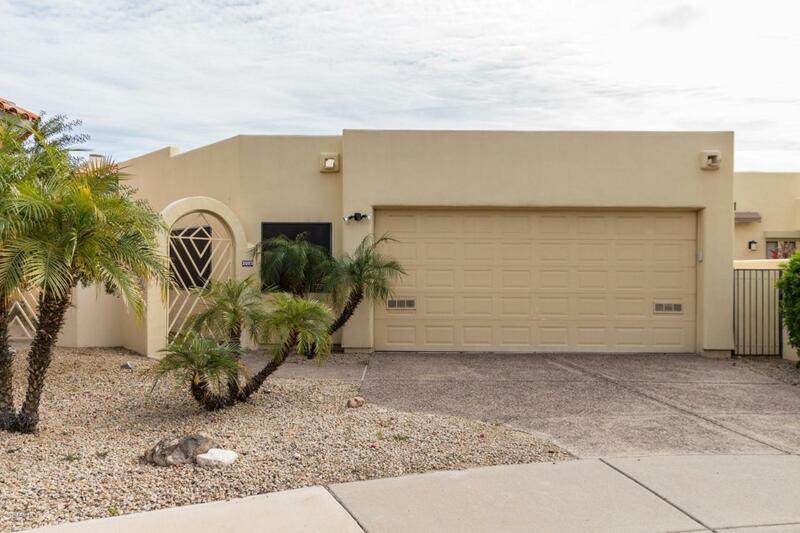 It's a hidden gem, nestled in the foothills of Piestewa Peak. The Villas Encantadas is an elegant enclave of executive homes. 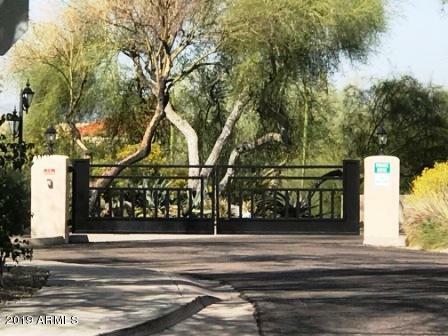 Private gated flagstone entry opens to a dramatic great room with soaring ceilings and marble floors surrounded by Mountain Views and a riparian arroyo. Large open chef's eat in kitchen with double wall ovens, skylight, pantry and extensive cabinetry. Kitchen dining overlooks the backyard deck offering scenic desert views from a private balcony. Enjoy the spacious master suite with a large walk in closet and a separate shower plus spa tub. 3rd Bedroom is a Split guest suite w/ a Separate Entry; perfect for winter visitors. But it will be the roof top deck you'll love with sweeping views of the mountain preserve, city lights and vibrant sunsets.